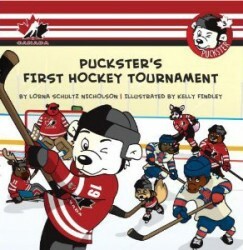 Puckster and his Pals are playing in their very first tournament. They are all excited! But Roly gets a little too excited and nervous too. What happens when the goalie of a team gets so nervous he thinks he can’t play another minute?